Real estate photography can be a great way to get regular work as a photographer. But there are specific techniques that you should use if you want to get great real estate shots on entry point. 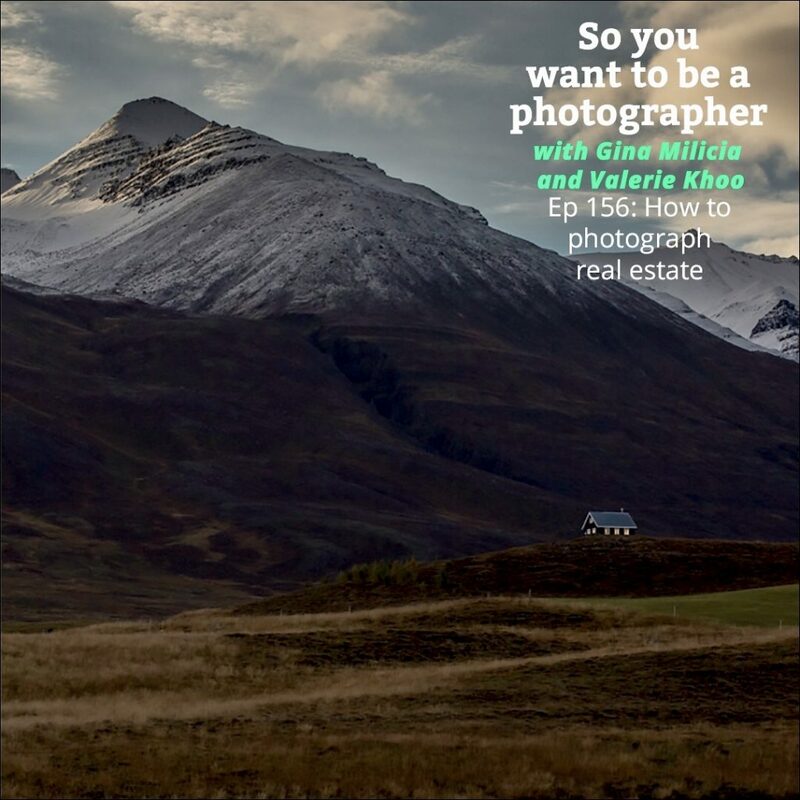 This episode, Gina and Valerie talk about the essential elements of real estate photography, how to get the ideal shots, and provide a checklist of dos and don’ts. Real Estate photography is a great way to make some extra cash as a newbie photographer. Remove everything from the top and doors of the fridge. Clean mirrors and any glass surfaces. Suggestions from members of the Facebook group. Peter Foote Shoot to show as much floor as possible. I like to have the lights on. Be careful to keep the verticals vertical. Rich Baum is the godfather of RE photography. He has a great YouTube channel. Ben Hopkins Turn all the lights on, change all the blown bulbs, clean bed sheets & table clothes, high aperture so you get lovely star light sparkles. Pamela Hnyla My comments come from the POV of a student who shot interiors for a class assignment. I’m sure some pros would have more or better things to offer. Anyway. You’ll think to use a wide-angle lens, make the place look charming, and all that. Use a tripod, of course. If it seems appropriate, take two shots, one that will catch the loveliness of the outside through the windows and one that properly exposes the interior, then do Photoshop magic. The one thing you might not know, though, is that Photoshop can correct the distortion that will occur. You can make the angles in the walls and ceilings straight instead of splayed by using — well. I know it has already changed somewhat since I used it. Transform? I used it in Camera Raw, but I believe it can also be done in PS itself. I suggest you research rather than trying to follow my ramble. Making those angles look good, in my opinion, is priceless.